We had a very lazy Sunday, which allowed me to work on some projects. I found really cute tulle in yellow, pink, and light blue at Goodwill last week and figured it would be perfect for some Easter decorations. 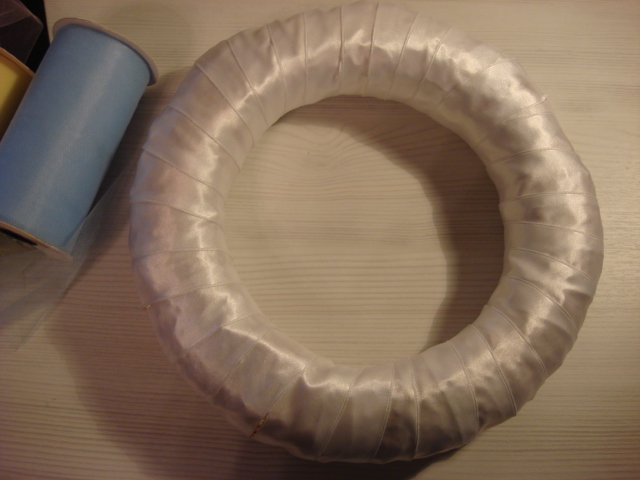 First, I wrapped a straw wreath from Michael's in white satin ribbon. 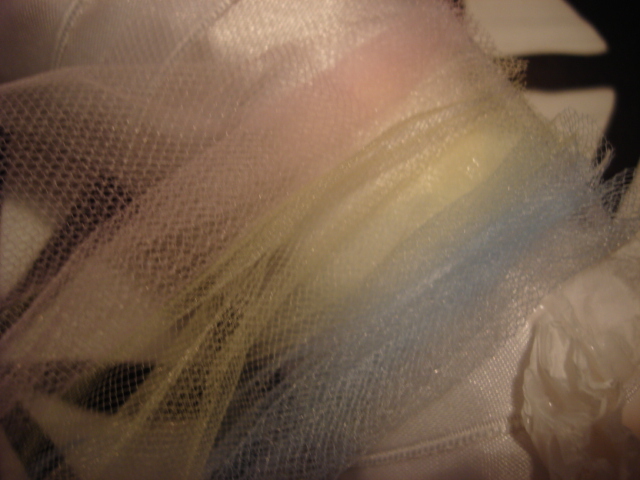 I wanted a little sheen under the very see through tulle. My husband actually came up with this idea. I didn't want the back of the wreath to be bulky and ﻿didn't want to waste eggs on the back, so he asked me for a piece of yarn and came up with this. 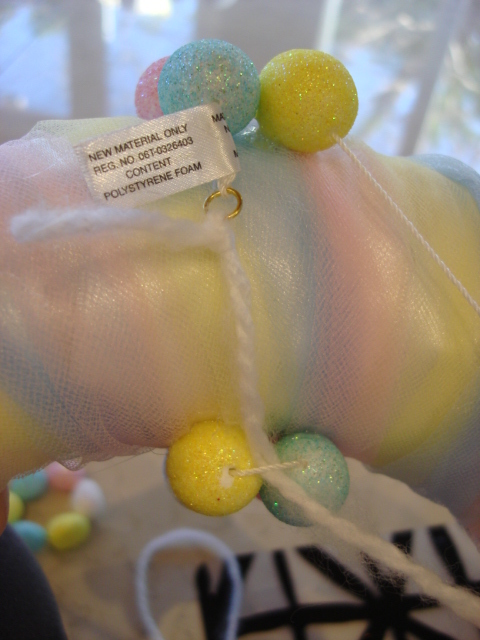 I still hot glued the egg to the wreath, but the yarn allows me to not have to cut the string of eggs and acts as an extra support. Can I tell you how sweet is was to see my husband working on this wreath. I think if he sees this post, he will not be too happy. The top loop looks a little different from the others, but let's just say that was intentional. Cute, eh? 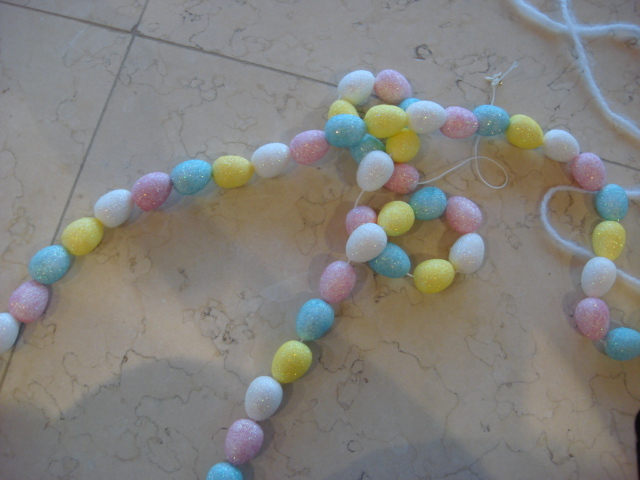 I'm hosting Easter brunch this year, so I gotta get some decorations going. I have nothing in my big old box of holiday stuff. I like it! 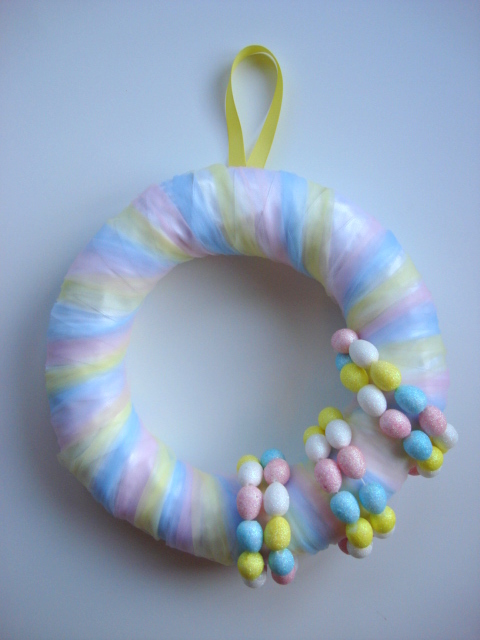 easter wreathes are hard because everything is so pastely sweet, but this looks great! awww..pretty! 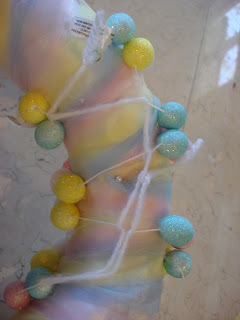 I'm not usually a fan pf pastels, but love the modern edge yours has and love the asymmetry...pretty pretty! Such a sweet wreath! Love the classic colors, but still looks so modern. Great job! I am so loving the tulle wrap effect! You are one creative gal!!! That is super cute and something even a non-crafty person like me could do! :-) I love that your hubby got involved and we won't tell him that you told us that! Thanks so much for linking this up to Inspiration Friday this week! What a beautiful wreath. 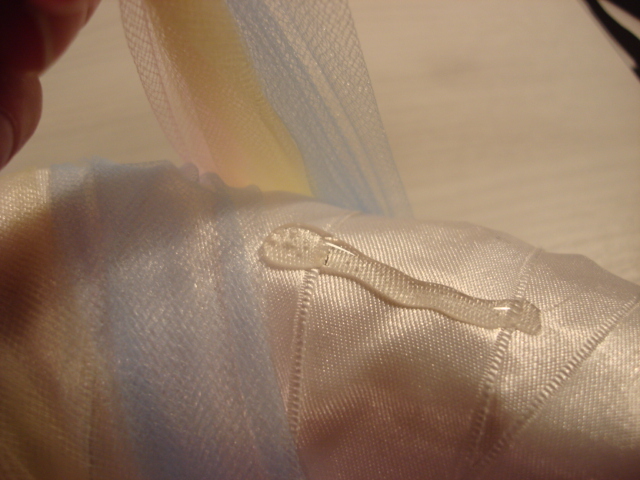 The tulle looks so pretty! Love your use of tulle in this! What a lovely wreath. Really pretty! What a cute wreath! It is crazy that is Easter Time already! Love your wreath! 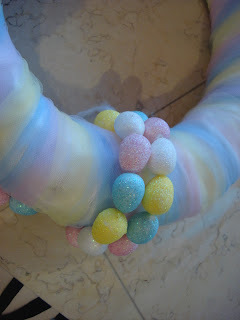 So pretty for Easter! I like how delicate and sweet it looks! It really is cute! I love the colors. Very Springy! Thanks for linking up!